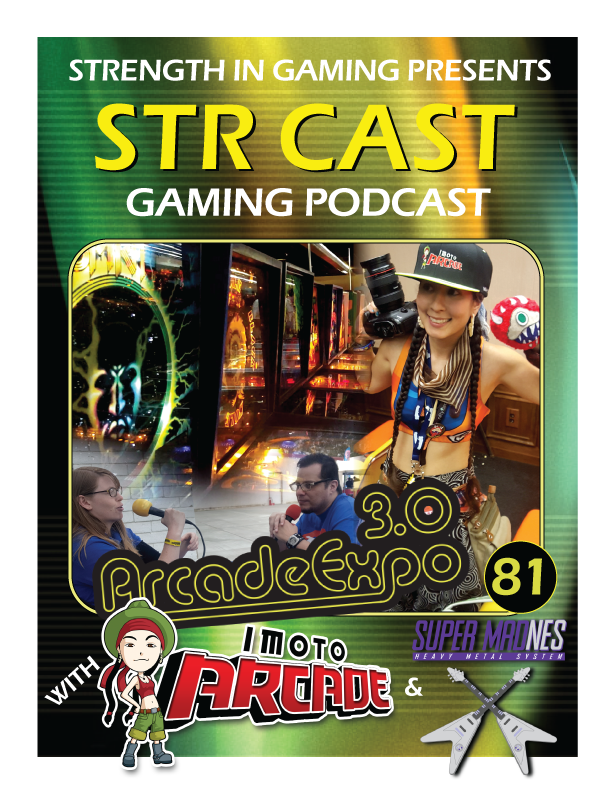 Sal & Samson go on the road to Arcade Expo 3.0 and a wild Laura of DEATHstination appears! We interview the walking talking Internet Pinball Database herself Imoto Arcade! Plus a bonus interview with Nico of the vg metal band – Super MADNES! The Museum of Pinball hosts Arcade Expo each year, with over 1,100(and growing) combined pinball and arcade machines on free play for 3 straight days, in the middle of nowhere (Banning, CA – a.k.a. Bumshart Nebrafornia). Trust us when we say this is retro barcade heaven.